I visited a shop in Whitby called Soda Pop Centre. These are my stories. 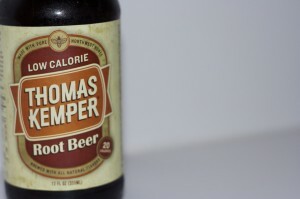 Ingredients: carbonated water, honey, caramel colour, maltodextrin, sodium benzoate, natural flavour, gum acacia, phosphoric acid, sucralose, salt, vanilla extract, and acesulfame K.
This Portland-based pop company makes a rather delicious root beer. It’s quite sweet, from both the honey and the sucralose, but the major flavour actually comes from the vanilla. It’s rather strong. If you’re a fan of vanilla, you’l like this root beer, I think. I personally think it’s a bit too strong.